Before I share this Paleoish Pad Thai with Creamy Cilantro Sauce recipe with y’all, I just have to tell you a little bit about being paleo-ish. 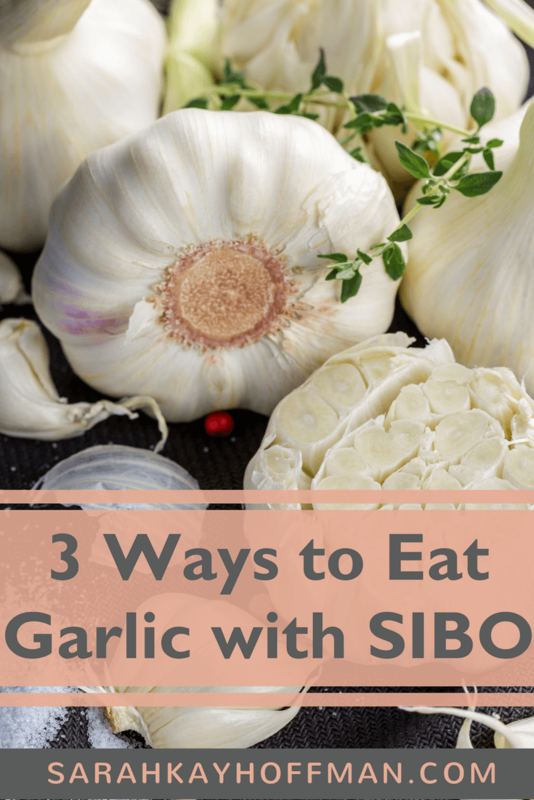 If you have SIBO, chances are you have been avoiding garlic since it is a part of the high-FODMAP foods. But you don’t have to. Seriously. It’s been a long time since I’ve been excited about noodles, but nonetheless, this recipe absolutely did the trick. 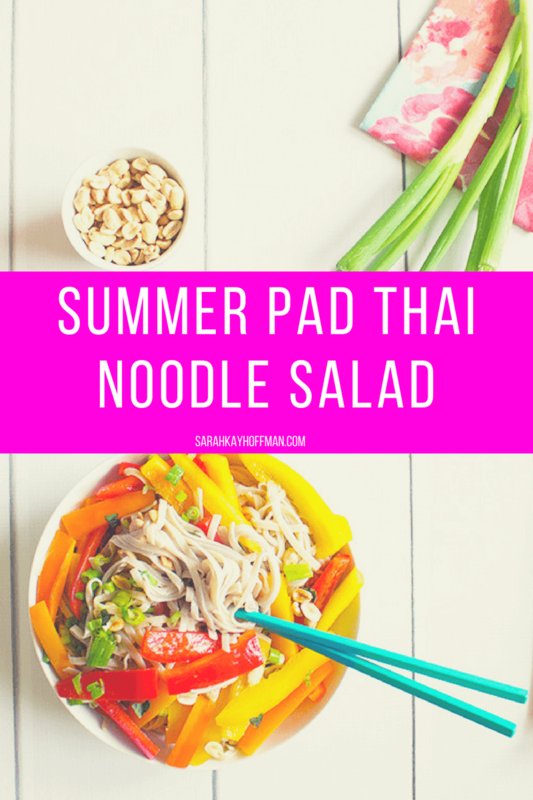 Enter the Summer Pad Thai Noodle Salad. As a bonus, it’s even low-FODMAP for all my SIBO friends. Admittedly, I was not trying to make it low-FODMAP, but it sort of just ended up that way. 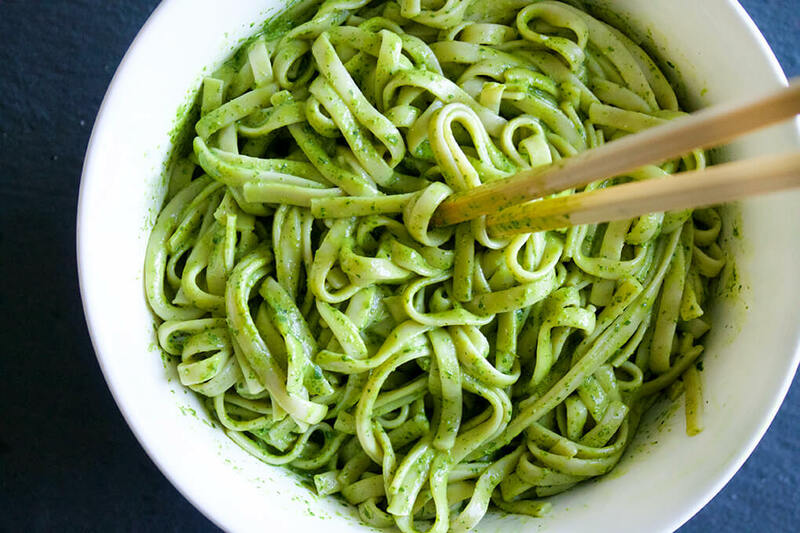 “Noodles…..how are those low-FODMAP?” The answer is simple. Because I used Lotus Foods Organic Traditional Pad Thai Noodles. The only ingredient they contain is Organic white rice flour. The salad dressing uses 1 tablespoon of honey, but if you are super sensitive to FODMAPs currently, you can swap this for Maple Syrup or if you want the entire dish to remain sugar-free, just skip it. 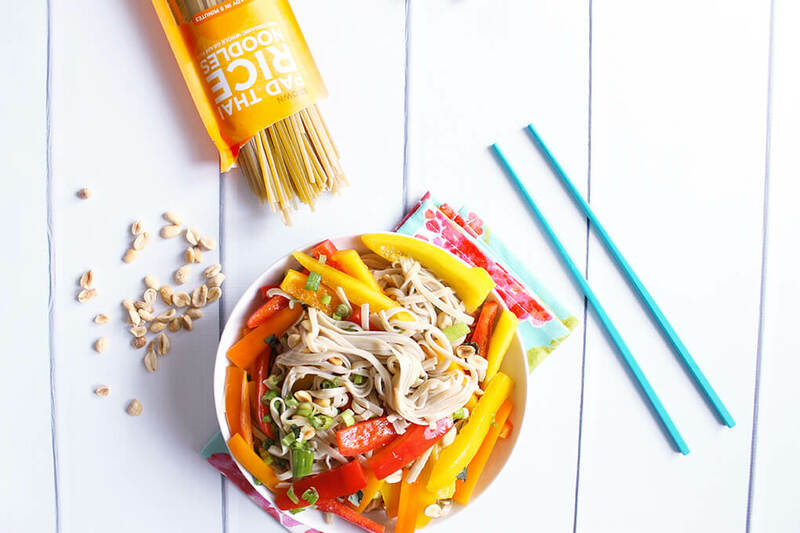 This Summer Pad Thai Noodle Salad can be eaten warm or cold. I have had it both ways and probably prefer it more as a cold salad, which is obviously good news because you can make it, then store in the fridge for leftovers on the fly. 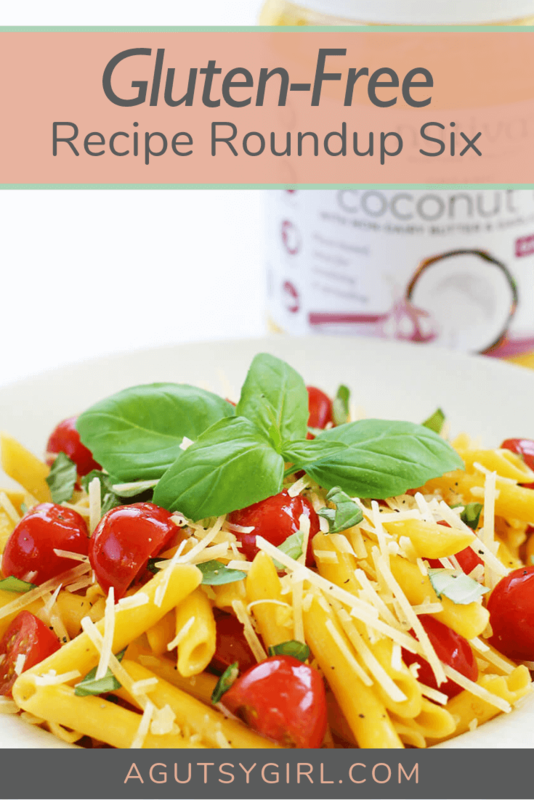 It also makes a great dish to take along to summer get-togethers, picnics, and BBQs. Last night Elisabeth had dinner with us. I made the salad but swapped in the Forbidden Rice® Pad Thai Noodles, and she absolutely loved it! She is Vegetarian, so we paired the salad with grilled kabobs – some with meat and shrimp, and the others just veggies and pineapple. Dinner rocked! 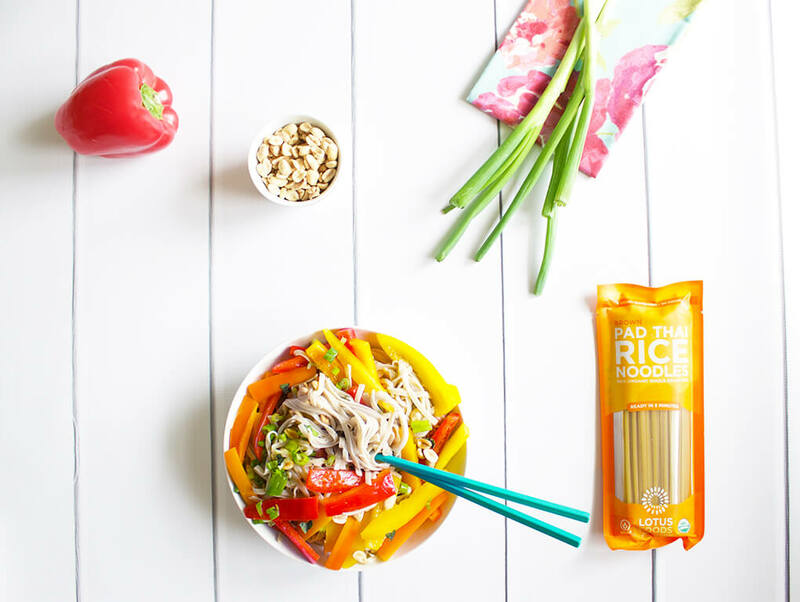 A simple Summer Pad Thai Noodle Salad full of color and flavor and always gluten free. Perfect for eating warm or cold, as a main dish or side. Make Pad Thai Noodles according to the package. Drain and set aside in a large bowl. 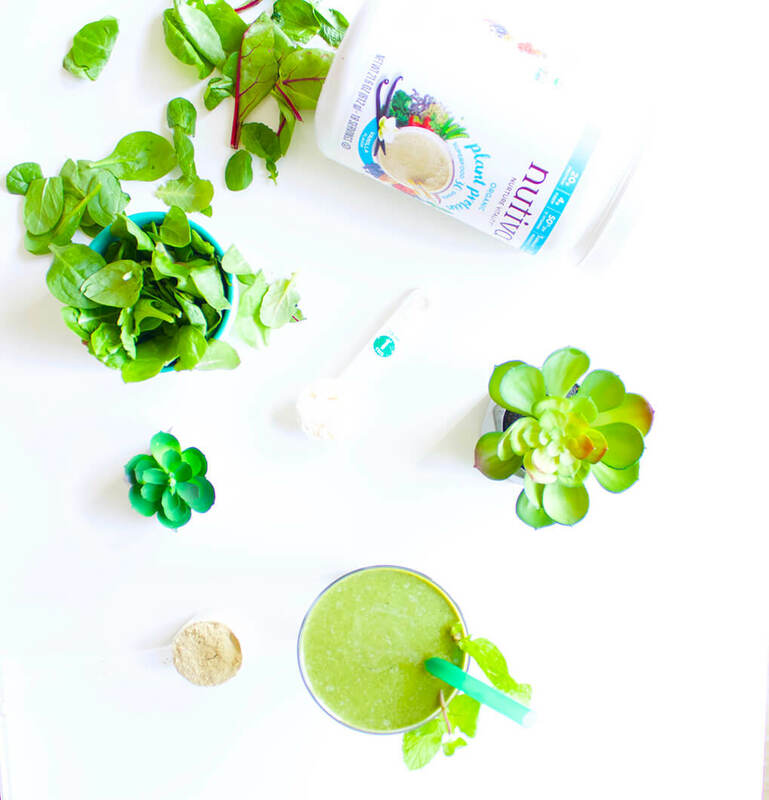 Place all dressing ingredients in a salad dressing bottle or regular bottle and shake vigorously until completely mixed together. Place bell peppers in a sauté pan with 2 tablespoons dressing. Sauté until golden, about 5 minutes. Set aside. 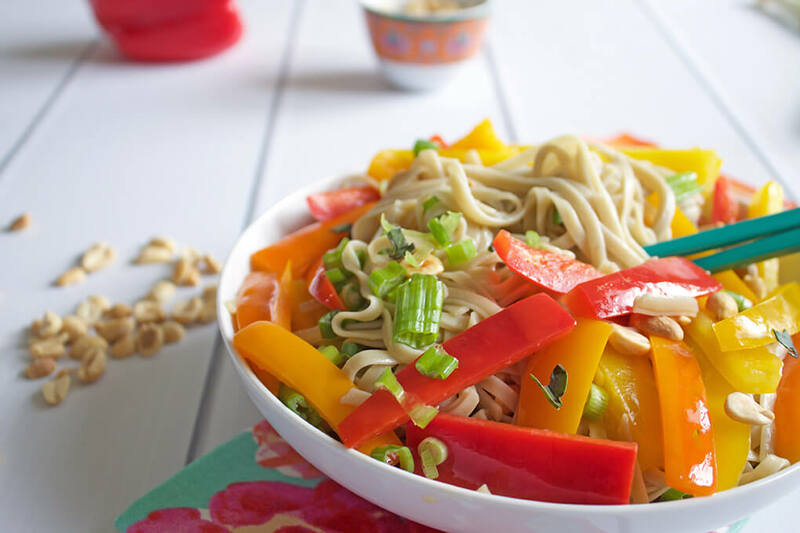 Add bell peppers to noodles, then add green onion, peanuts, salt, pepper and more dressing (to taste). 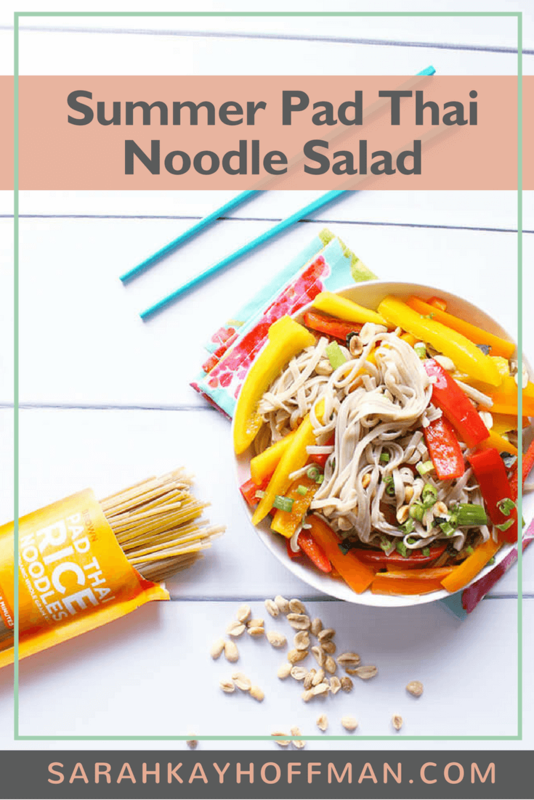 This noodle salad can be served warm or cold. You will likely not use all the dressing. Use about ½, then decide if you want more or not. If not, the dressing can be saved in a cupboard for later (no need to refrigerate). 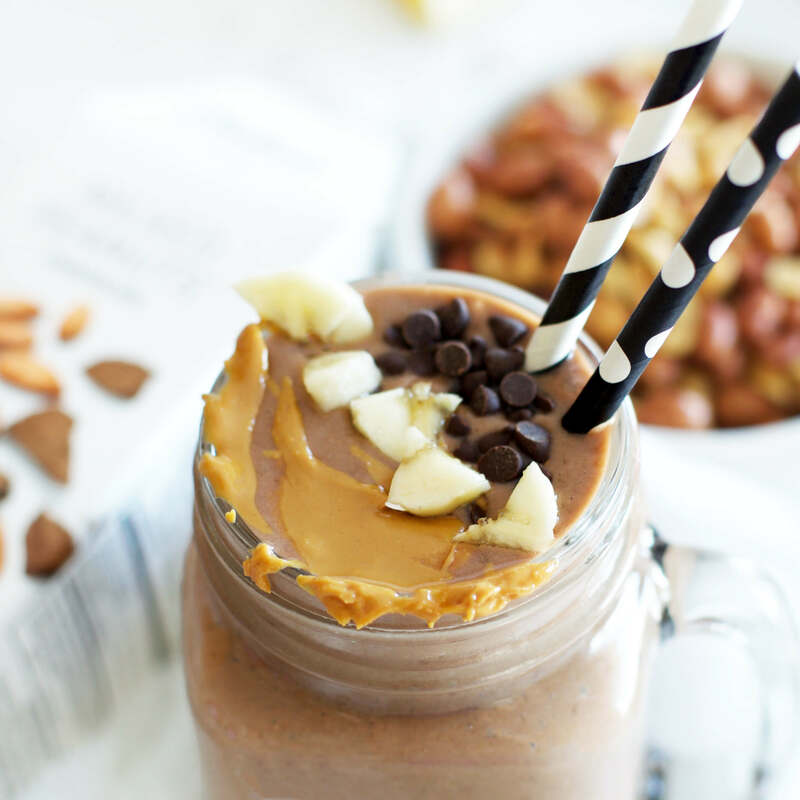 Tell me more about what other types of recipes you’d love to see!